Helsinki City Museum publishes books, records and other products telling stories about Helsinki and its past both for adults and children. The most extensive collection of museum publications is available in the Museum shop. You can inquire from the Helsinki City Library about items which have been sold out.  Welcome to explore our selection! In 1995, the renovation of the Government Palace uncovered the nearly 200-year-old market square, beneath the cobble-stones of today’s Senate Square. 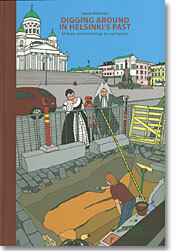 Beneath the city centre lies hidden an unknown Helsinki, a small town from the period of the Swedish reign, introduced in this cartoon book. Join our City Museum archaeologist on a tour through Helsinki’s 17th and 18th Century houses, yards and gardens. 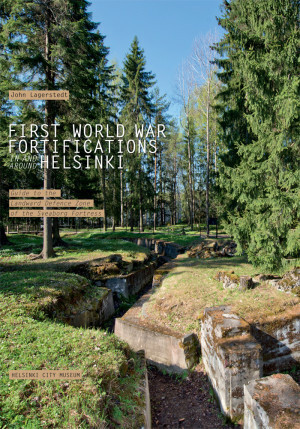 First World War Fortifications in and around Helsinki. Guide to the Landward Defence Zone of the Sveaborg Fortress. This tour guide presents around 20 intriguing landward defence zones in Helsinki, Espoo, and Vantaa area. Explore old trenches, machine gun nests, and mined rock caves! A guide of the basic exhibitions held in the Sederholm house during 1995–1999. It’s an all-round introduction to the 18th century Helsinki through the story of Johan Sederholm. This book presents Helsinki City Museum’s former museum, Tuomarinkylä manor, along with it’s history and culture. Watch Out, Gypsies! The History of a Misunderstanding. 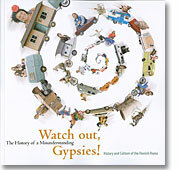 This richly illustrated exhibition publication offers in-depth information about the Finnish Roma, whose history and culture are in many ways unique. The book is also available in Swedish and Finnish.